What is a tea party without something yummy? 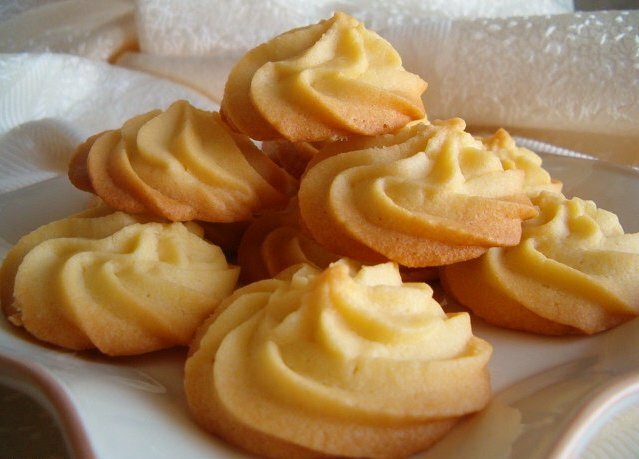 If you do not want to go to the store, you can make tea biscuits themselves. There are numerous very simple and quick recipe. For example, for cookie, "Lemon", you need only 3 products, which are in any home - flour, sugar and egg, and about 15 minutes of time. And if you approach it with imagination, for this recipe you can bake several different varieties of cookies, padding the dough not only lemon zest, but also, for example, raisins or cinnamon. RUB the eggs with a wooden spatula, sugar and lemon zest. Sift the flour through a sieve, so she was enriched with oxygen. Mix the flour with the eggs until smooth. Put the dough with a teaspoon on a baking sheet, greased. Preheat the oven to 260 C. Bake the cookies 8-10 minutes. You can also make cookies using a pastry syringe with various tips - then you'll have different in the form of figures. In addition to the lemon peel can be added to this dough the raisins, vanilla, cinnamon, candied or after baking sprinkle with sugar.